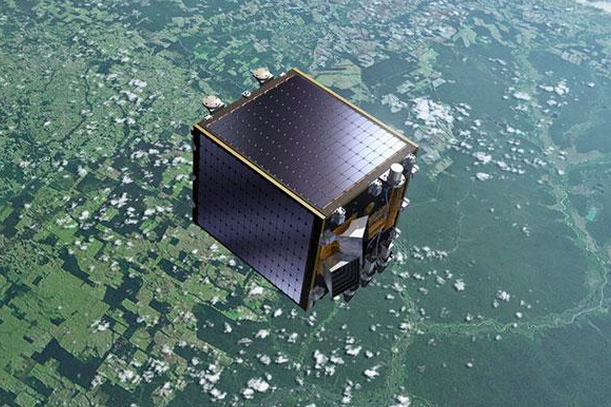 The Proba-V minisatellite may help us see the unseeable, the European Space Agency says. A satellite operated by the European Space Agency may have powers that give new meaning to the idea of moonlighting. Proba-V is a vegetation scanning minisatellite used to monitor the health of ecosystems from space, but the ESA says it may soon be adapting those detection capabilities to the area of human population health, Gizmodo reports. From thousands of miles above Earth, using advanced digital infrared sensors and a high-speed camera, Proba-V can resolve minute differences in the color of flora across enormous swaths of land. Since launching in May 2013, the satellite's wide field of view has generated fresh images of global vegetation every two days, helping to predict crop yields, monitor deforestation and drought effects, and improve climate change models. Now, the ESA has announced that doctors plan to adapt Proba-V's scanners to monitor human skin cells. When mounted on a standard medical scanner, doctors can use Proba-V's sensor to detect shortwave radiation invisible to the naked eye. With such a powerful view, doctors can peer deeper into human tissue, detecting and diagnosing skin diseases at an earlier stage. The ESA also touts Proba-V's promise as an industrial tool for improving solar cell production and catching faulty items on production lines. Eventually, satellite technology may be used to create densely detailed views of the human body that offer new insight into our health, on both an individual and collective scale. Read the full story from the European Space Agency here.